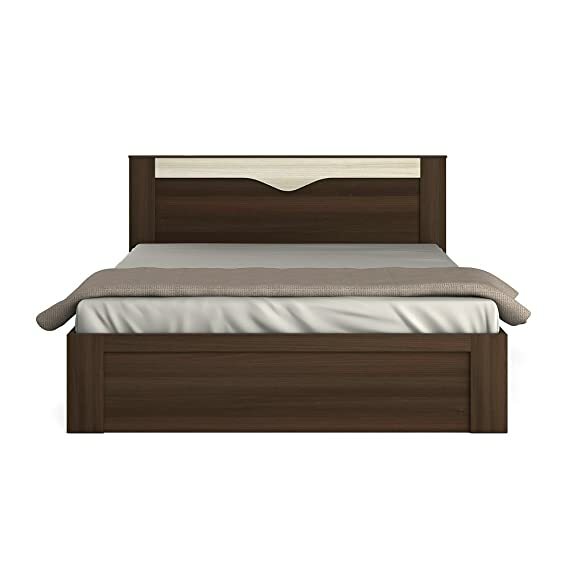 The lowest price of Spacewood Engineered Wood Queen Bed ( Finish Color - Melamine ) is at Flipkart where is it is for INR 8449. This price is INR 10541 lower than the other price for the product. The prices for the product change across variants. The price for Spacewood Engineered Wood Queen Bed ( Finish Color - Melamine ) is valid across Bangalore, Hyderabad, Chennai, Mumbai, Delhi, Pune and Kolkata. The Spacewood Engineered Wood Queen Bed ( Finish Color - Melamine ) is available at best price of INR 8449 on Flipkart.
? The color of the product may vary slightly compared to the picture displayed on your screen. This is due to lighting, pixel quality and color settings.
? Please check the product's dimensions to ensure the product will fit in the desired location. Also, check if the product will fit through the entrance(s) and door(s) of the premises.
? Please expect an unevenness of up to 5 mm in the product due to differences in surfaces and floor levels.
? Flipkart, or the Seller delivering the product, will not take up any type of civil work, such as drilling holes in the wall to mount the product. The product will only be assembled in case carpentry assembly is required.
? In case the product appears to lack shine, wiping the surface with a cloth will help clear the surface of dust particles. I've got this for around 7200/- on an offer and worth the money spend. Extremely happy with it.